For the first time, the Tánaiste speaks of his family’s own personal tragedy in pregnancy. Tánaiste Simon Coveney speaks to TheJournal.ie about why he is voting Yes in the referendum. TÁNAISTE SIMON COVENEY has said he still approaches the issue of abortion from a “pro-life perspective” but believes the status quo can no longer remain in Ireland. In an interview with TheJournal.ie about how he came to form his views on the abortion issue ahead of the upcoming referendum on the Eighth Amendment, the Cork TD spoke for the first time about his family’s own personal tragedy in pregnancy. He also discusses how his views could be seen as different to a perceived ‘Yes’ voter and how he can no longer stand over a situation where Ireland exports its women-in-need to the UK. As a married man and father of three girls, Coveney said he reflected on his own experiences, as well as input from medical experts and women who had gone through difficult circumstances in the past months. He has no difficulty in saying he struggled with the issue. Supporting a Yes vote is something he put a lot of thought into, said Coveney. “The decisions I have made in terms of my positioning on these issues, I haven’t done lightly. I really have taken the time to read and consult and talk to people who have experienced, as I have, issues in a very intimate way with people that they love. Many in Fine Gael and in government, including Taoiseach Leo Varadkar, are actively campaigning for a Yes vote in May. However, Coveney’s path to a Yes vote has had its ups and downs, and has been anything but clear-cut. In the early days of the campaign following the publication of the Oireachtas Committee’s report recommending that abortion be permitted up to 12 weeks, the Tánaiste caused quite the controversy when he appeared on RTÉ’s Sean O’Rourke programme and said he couldn’t support such a proposition. “I don’t believe that there should effectively be unrestricted access to abortion at any point in time,” he said in February, adding that it is not consistent with the State’s obligation to protect the unborn child. Fast forward a little under two months, and Coveney did a u-turn stating that he had changed his stance on the government’s legislative proposals for abortion. Sitting in the lobby of a Cork hotel, Coveney tells TheJournal.ie that his views haven’t changed all that much since that radio interview. “I am not that dissimilar now than to what I was then,” he said. Since then, the Tánaiste said he worked with Health Minister Simon Harris to include some of his propositions. “At the time I said I couldn’t support a situation where there was unrestricted access to abortion for any period during a pregnancy whereby the impression and understanding that many people had been that it would be a straightforward process to go and get a prescription to terminate a pregnancy. “Since then I have spent a lot of time with medics and indeed with Simon Harris and others. Certainly what is being proposed now is not unrestricted access to abortion. It is a supportive medical practitioner-led process that involves new medical guidelines and medical protocol around fully informed consent. Coveney said it was important to have a 72-hour reflection period included in the proposed legislation. “I was very much involved in the discussion around that protocol and timeline to make sure that no decision is being made in a way that doesn’t reflect the magnitude of the decision to terminate a pregnancy, which for me is a huge decision and also we agreed there would be no late-term abortions. That was something that wasn’t previously there. 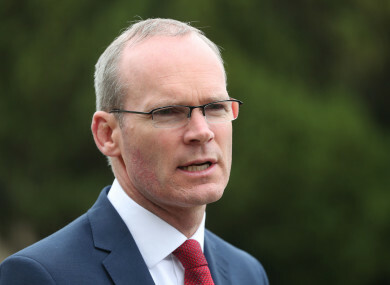 The word ‘journey’ is often used to describe someone’s thought process surrounding how they chose to support one side or another in the abortion debate, but Coveney said that word doesn’t sum up his experience. While he said he is not a “reluctant” Yes voter, he admits to being a little bit different. But he believes close to 40% of the population hold similar views to his own. “I think there is a difference between my views and plenty of other people who are advocating for a Yes. Some people would have supported a Yes vote in this five or 10 years ago. They would have a ‘classic pro-choice perspective’ – that it is a woman’s decision, it is her body, it is nobody else’s business, certainly it isn’t the State’s business and that this should be a woman’s right to choose and there is no other consideration. Coveney said he has spoken to many people about the issue, and some members of the public have approached him on the matter. I believe my position is consistent, I suppose, with an evolution of how I have always thought about this issue, but certainly having spoken to many doctors and many women in terms of hearing their personal stories. “I don’t mind saying that I have struggled with this issue. I think I represent about 40% of the population when I say that. “The number of people who have stopped me in supermarkets, in restaurants, in the workplace and said: ‘You know what Simon, I heard you on the radio talking about this issue the other day and I could have been listening to myself’. “I have had so many people say that to me, particularly men actually, but also some women. They have said to me: ‘I understand that we need change here, the status quo is not okay, but please reassure me that we are not going to go too far, because getting the balance right is really important to me.’ Lots of people have said that. Coveney said he wants to reassure people that should the vote pass allowing the government to legislate for abortion, a “liberal regime” will not be introduced in Ireland. “I hope I have managed to convince people that actually if we get the opportunity to legislate – to put a more comprehensive and supportive piece of legislation for women in place – they can be reassured that people like me are not going to support legislation that creates the kind of liberal environment that people would like to have but that I think the majority of Irish people would be uncomfortable with,” he said. The Tánaiste said whether he agrees with abortion isn’t really the point. As a policy-maker and legislator he said he cannot turn his eyes away from what is actually happening in Irish society. He said some people are choosing to ignore that reality. “In my view there is a false sense of reality here by maintaining the current wording of the Constitution and the current legislation of the Protection of Life During Pregnancy Act that we are somehow preventing abortion for Irish women – we are not,” he said, pointing out that in reality of thousands of women travel every year, to terminate pregnancies. So far, the Tánaiste believes the abortion debate has been a respectful one, but he does have concerns. This week, a number of maternity hospitals appealed to certain campaigners on the No side to remove large-scale advertisements and posters from the entrance of their facilities. The Irish Centre for Bio-Ethical Reform (ICBR) displayed graphic imagery showing foetuses outside the National Maternity Hospital at Holles Street, the Rotunda Hospital and the Coombe Hospital. Despite the calls from the hospitals and the official Save the 8th campaign, the ads remained in place. When asked about the issue, Coveney said a “line of decency” had been crossed. “Of course I would be urging restraint. I think the debate on TV and radio so far has been quite respectful and I have a lot of respect for people who are voting no. I really hope they will think about this and change their mind, but I respect their view. However, the Tánaiste said he is not naive. This is a highly controversial emotive issue so there will be moments in this campaign where lines are crossed, he said. Both sides need to be careful and responsible in terms of taking the tension out of the situation, rather than build it up, he added. “I respect the people who are voting no, this is not an easy space for people. I am not in the position of lecturing people on the yes or no side. All I can say is people can have their choice, they can make up their minds. “But my job as the Tánaiste and as a public representative is to be quite public as to why I have taken the decision I have which can hopefully help other people to settle in their own mind about what they can and can’t support. Email “Coveney: 'I approach the abortion issue from a pro-life perspective, but we need to end the status quo'”. Feedback on “Coveney: 'I approach the abortion issue from a pro-life perspective, but we need to end the status quo'”.